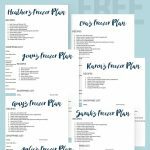 One of the most common questions that I get is, “How do I turn my recipe into a freezer recipe?” Today, I’m answering that question on the blog, Money Saving Mom. 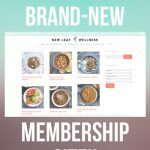 Money Saving Mom is full of info to help moms “balance it all,” and I’m honored to be featured as a guest poster. 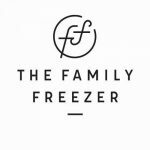 I started making freezer meals after my first child was born. Freezing a casserole for a holiday or birthday party meant I could enjoy the day with my daughter and husband instead of spending it in the kitchen. Four years and two more children later, I still use freezer meals to simplify our busy lives. 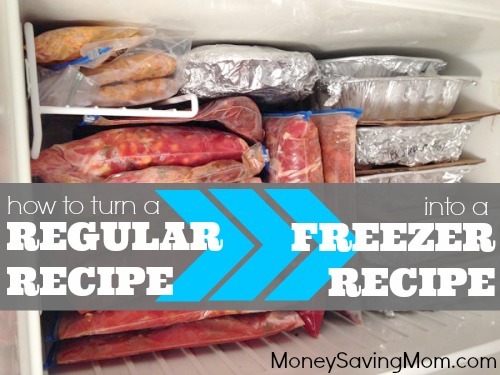 To save time, I freeze most of my meals raw. They’re very easy to prep, and since they’ll cook for the very first time out of the freezer they won’t taste like leftovers at all. 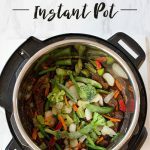 Curious how you can turn your favorite oven or slow cooker recipe into a no-cook (or little cook) freezer recipe? Check out my tips on Money Saving Mom! Thanks for the feedback and the tip about the broccoli! I’m excited that I can just prep the mashed potatoes ahead of time I was under the impression that cooked potatoes don’t hold well in the freezer! Perhaps I may freeze each meatball separately on a pan and then put them in a ziploc bag to keep them from getting stuck together. Thanks so much for the help! Sounds like a good plan! Cooked potatoes definitely freeze better than raw ones! Have you tried freezing anything with coconut milk as one of the ingredients? I found a good crockpot recipe for a curry. Yes! I also have a recipe for chicken curry that I love, and it freezes great. You should be good to go.